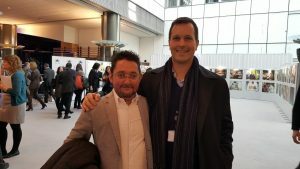 IPOPI was well represented at the Rare Diseases Day Events at EU Parliament by Johan Prevot, Executive Director and by Andrea Gressani, IPOPI Board Member. 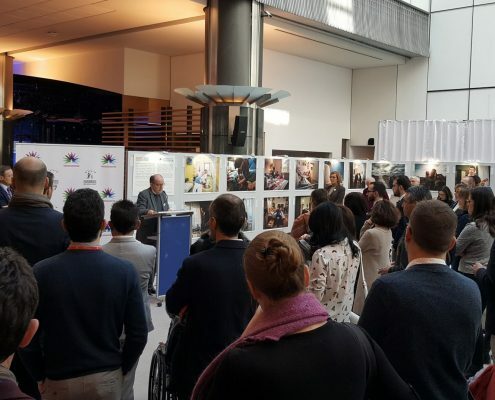 IPOPI took part in the “Rare Lives” Photography Exhibition and in the Parliamentary Meeting on “European Reference Networks – Accelerating and Improving Diagnosis for Rare Diseases Patients”, on February 28. The “Rare Lives” Photography Exhibition aimed at investigating the needs, hopes, difficulties, and above all, joys and daily achievements of those living a “Rare Life” to raise awareness on rare diseases and the importance of early diagnosis and access to care. 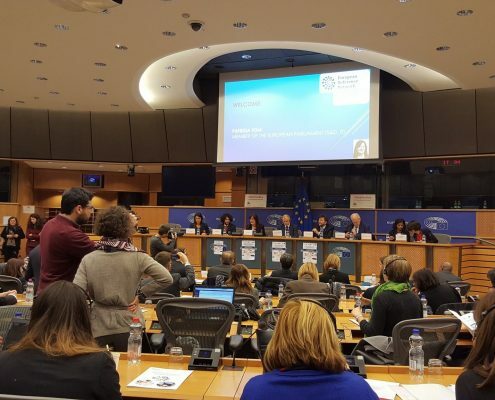 A European Parliamentary Meeting entitled: European Reference Networks – Accelerating and Improving Diagnosis for Rare Diseases Patients followed the exhibition. The meeting was kindly hosted by Member of the European Parliament (MEP) Patrizia Toia (S&D, Italy) standing in for MEP Elena Gentile (S&D, Italy) who was unable to attend. The event was coordinated by the European Reference Network for Rare Bone Disorders (ERN-BOND) and aimed to present the findings of the ERN-BOND White Paper on Diagnosis and discuss solutions on how to best reduce the average time to accurate diagnosis for rare bone diseases and, more generally, rare diseases. Dr Vytenis Andriukaitis, European Commissioner for Health and Food Safety, was a guest speaker at the meeting to celebrate one year of success of the 24 ERNs that are now operating across Europe. In his talk he expressed his gratefulness for the continuous work that ERNs are doing for patients, alongside healthcare professionals, researchers, policy makers and hospital managers – working together to improve the quality of life of millions of people in Europe suffering from rare diseases. He also highlighted the challenges for the future of the ERN and in particular the integration of ERNs into national or regional healthcare systems, the need to ensure full support to the ERNs as well as the selection and integration of new members in the 24 current ERNs. During the meeting the results of the ERN-BOND white paper on diagnosis were released. The white paper provides an overview of the current situation relating to the diagnosing of osteogenesis imperfecta (OI) in the 10 Member States represented within the ERN-BOND but also consists in a useful template which may be followed by other ERNs. The White Paper identifies the key challenges and potential solutions to further reduce inequalities in diagnosis between countries and delays in detection and improve the patient experience. The meeting also featured a Panel discussion entitled “How to address the challenges of early diagnosis of rare diseases” which was efficiently moderated by Josep Figueras, Director of the European Observatory on Health Systems and Policies. From the discussion it appeared that political intention and support at all governance levels (local, national, European/regional and international) is crucial for prioritising the key issues of early diagnosis of Rare Diseases.